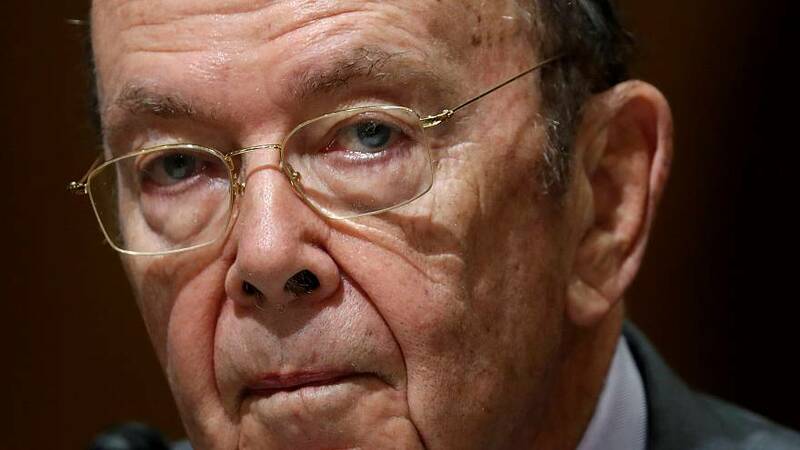 WASHINGTON — Commerce Secretary Wilbur Ross said Thursday he did not understand why furloughed federal employees, many whom have gone over one month without pay, might need help from homeless shelters and food banks. "Well I know they are, and I don't understand why," Ross said in an interview on CNBC when asked about reports of some federal workers relying on charity, such as food banks and shelters, for essentials during the shutdown. Instead, Ross suggested that furloughed employees should borrow money to make ends meet while the shutdown continues. "Banks and credit unions should be making credit available to them," Ross said. "Now true, the people might have to pay a little bit of interest, but the idea that it's paycheck or zero is not a really valid idea." Ross also rejected the notion that the government shutdown — now entering day 34, the longest in U.S. history — was damaging the country's reputation or economy in the long term. "I think that is a great deal of hyperbole," Ross said. "We've had shutdowns, albeit for not such a long period as we've been thus far, but put in the perspective: You're talking about 800,000 workers. And while I feel sorry for the individuals that have hardship cases, 800,000 workers if they never got their pay — which is not the case, they will eventually get it — but if they never got it, you're talking about a third of a percent on our GDP." Although furloughed workers will eventually receive back pay when the government reopens, many contract workers will not be able to make up for missed work.